Christopher Gallant, known as Gallant, released his first album on April 6th, 2016 after releasing an EP and several singles in the past few years. Gallant was influenced by R&B and alt-rock as he was growing up and began writing music when he was in middle school. He performed at Coachella this year and has performed with Sufjan Stevens and Seal. His album, Ology, features previously released songs as well as new material, making it easy to see these progressions throughout his career. The sixteen-song-long album starts with a song appropriately titled “First.” It’s only thirty-seven seconds long, but Gallant certainly uses every single second wisely. The song starts out with static, turns into one simple beat and slowly turns into organized chaos with harmonics from an orchestra. The song ends just as things seem to be getting to a crescendo. This drew me into the album because I wasn’t sure what would come next on the following track. “Talking to Myself,” doesn’t have a clear storyline based on the lyrics, but is still clearly about some sort of internal struggle. I really like the music itself in this song, especially the brass instruments that are played at different parts throughout the song. Mixing them with the electronic elements in the chorus makes for a really interesting sound that I haven’t heard often. It certainly isn’t my favorite song from the album, but I would still listen to it. The third song, “Shotgun,” is about trying as hard as possible to be amazing, but coming up short because there is always something/someone better. This is particularly evident in the lyric “What good is a sword next to a shotgun?” since Gallant already sang about “sharpening his blade.” The song is layered with Gallant’s amazing falsetto as we near the end. “Bourbon” reminds me a lot of some of Gallant’s old songs (some of which are later on Ology). It’s a slower tempo than any of the songs we’ve heard so far, yet still sounds a lot like the last two. At this point in the album, I am waiting for something different, since all of the songs have the same structural pattern and the same type of beat in the background. I also like this song, but I don’t think it should come after two songs that sound extremely similar to it. However, in “Bone + Tissue” I get exactly what I wanted. 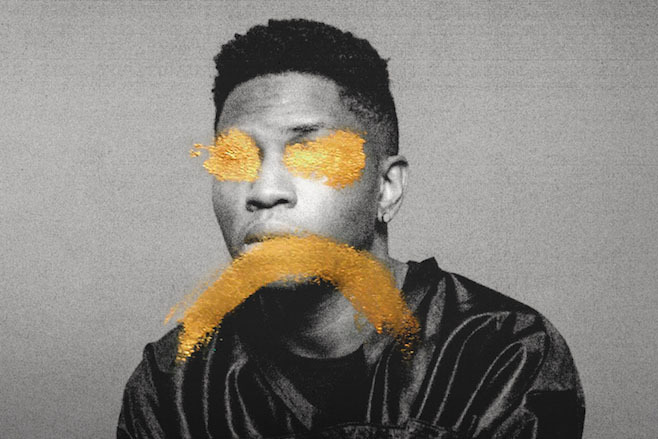 Gallant uses a lower voice and the production has way more depth. During the chorus he still uses his falsetto, but why not use talent when it’s there? 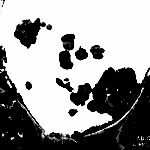 The meaning of the song still lingers around the central theme of wanting to prove oneself, but I can get past it since the pattern of the album thus far is being broken. The next song is only a minute and two seconds long, but “Oh, Universe” takes the album in a completely different direction. 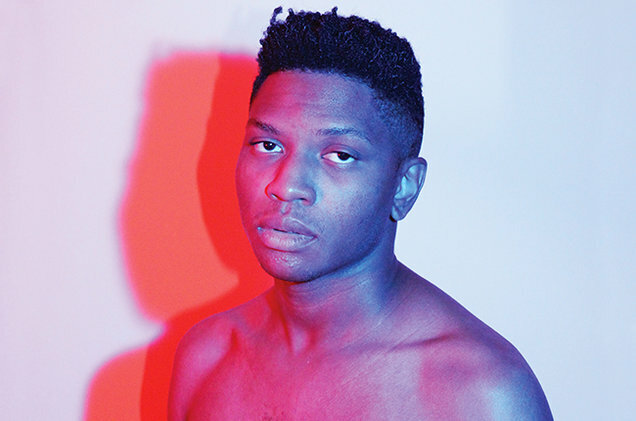 The beginning is light and celestial, but around three-quarters of the way through it transforms into jazzy R&B when Gallant’s voice filters in and sings what sounds like a poem. The end is abrupt but leads us into the next track. 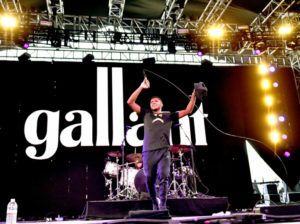 “Weight in Gold,” a song that had previously been released in 2015 and is Gallant’s most popular song. There was a collection of “Weight in Gold” remixes that was also put out in 2015, and Gallant actually recorded a version of the song with Seal. I don’t know how I feel about it, but it’s still pretty cool to see that Gallant can actually sing the high notes that he does on the fully produced recording. I was definitely more into this song before I listened to in the context of this album, but I will still listen to it. Watch the music video for the song below. For some reason, the intro to “Episode” instantly reminded me of the intro to Troye Sivan‘s “TALK ME DOWN,” which is interesting because the two artists are completely different. Suddenly the eighties side of Gallant comes out, and I’m really digging it. This song gives the album more depth and more variety, which I think was completely necessary. His voice seems calmer than most of the other songs (an oddly refreshing twist, especially when he is so talented). “Miyazaki” has layers of guitar behind Gallant’s voice, something I haven’t been able to hear on the album up until now. I also like all of the nonsensical “da-da-di-dums” that come later, since most of the songs have some pretty heavy lyrics to them. To hear something that holds no meaning is very oddly refreshing. 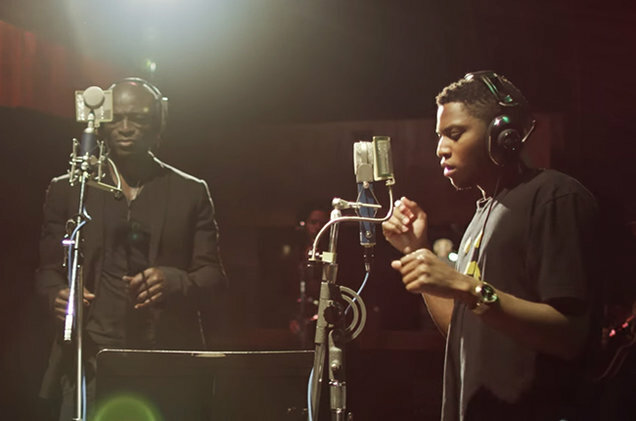 The next song, “Counting,” also reminded me a lot of a Troye Sivan song called “Wild.” I like the way that the production in the song sounds, and I think that it does a very good job of complementing Gallant’s voice. The lyrics are pretty open for interpretation (in my opinion), but as I was listening to the song I picked up the vibe that it was a love song. The ending of this track melts perfectly into the next one. “Percogesic” starts with a really good beat that somehow sounded like it could be a Mac Demarco song. The song is very easy to listen to and keeps you going along with it without even trying. In the middle, there is a brief difference in production that instantly made me feel like I was listening to “Not Gonna Get Us” by t.A.T.u., a Russian duo that my mom used to listen to in the car when I was a kid. I’m not sure that I like the very sudden, very drastic change, but it does add another layer to the song. Next, “Jupiter” sounds ethereal in the very beginning. Birds are chirping, there’s a lot of light and airy sounds, and then Gallant’s voice oohs it’s way in. This song has guitar elements in it (acoustic in the verses, electric in the chorus). There is also whistling in the background, which makes the song seems a lot more casual and light. I like this song a lot more than most of the songs that I’ve heard thus far. As “Open Up” starts, I feel as though I’ve been transported into a Hollister. It has that super pop-like electronic feel to it, and I don’t think that it belongs there. It made me want to skip the song a little bit. I’m glad that I didn’t, however; I feel like the rest of the song makes up for the beginning. Not my favorite song on the album at all. I’ve been interested in hearing this next song since I read articles on Billboard about this album a few weeks ago. I was interested because “Skipping Stones” is a duet with Jhené Aiko, who’s voice I think is very unique and very different than Gallant’s. I think that their two voices together either go really well together or very awkwardly together, and throughout the song it filters between the two. The only word I can think of for this song is “awkward,” but I also don’t think it doesn’t belong. The second to last song, “Chandra,” is by far my favorite on the entire album. I think that it sounds so beautiful with its orchestra and Gallant’s voice, and a piano and the echoey voices that show up in the background. It sounds like a song that belongs in a Disney movie (I keep picturing either Hercules or The Lion King). I think that if he put more elements in all songs that he did in this one, he could make the rest of his music a lot fuller in emotion and in sound. Finally, we reach the song “Last.” There isn’t too much to say about it as it just takes the last note of “Chandra” and slowly turns it more and more into static. 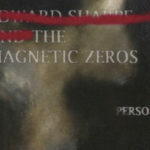 Its sole purpose is to transition the listener out of the album. Overall, I would listen to some of the songs on this album on their own, but I don’t think I would listen to the album from beginning to end. I feel as though the order of the songs should for sure be shuffled around. 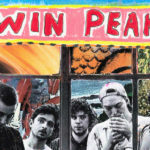 There are four songs at the beginning that sounds exactly the same, and as we reach the end there’s so much variety that it can get difficult to remember that it’s all the same album. That isn’t always a bad thing. If an artist can have a bunch of different sounds, it means that their music can apply to many more situations and feelings that if they were only really good in one genre.